If you didn’t know, twerking is great exercise! It strengthens muscles in nearly every part of your body, giving you a full-body workout while toning your thighs and badonkadonk! It also improves your hip flexibility and will boost your overall fitness, too! We recently spoke with Bami from Bam Bam Boogie, a dance fitness company providing high-energy twerking classes. Hi Bami! So, a very popular question that we often hear is: can anyone twerk? Yes! Everyone and anyone can twerk. All booties matter! What would you say are the top three benefits of twerking? One, you’ll build legs of steel! Twerking is just as effective as squatting, so it’s a great lower body workout. Two: improved confidence by stepping out of your comfort zone! Going to the gym can sometimes make you feel more confident but twerking helps you to embrace all your jiggly bits and make you feel like a superstar! Three: core stability. Most twerking exercises require core stability and will help to improve your posture due to improved core strength. Twerking targets your quads, glutes, hamstrings and calves. If someone wants to tone up, how often do they need to twerk? You’ve got to go hard at it for at least two hours a week, I’d say. However, it depends how hard you decide to go per session. We’ve seen a huge rise in the popularity of twerking. Why do you think that is? It’s always been popular but it hasn’t been as mainstream. I think, because of confident come-up stars like Cardi B who twerk loud and proud over social media, it has encouraged more women to twerk publically. 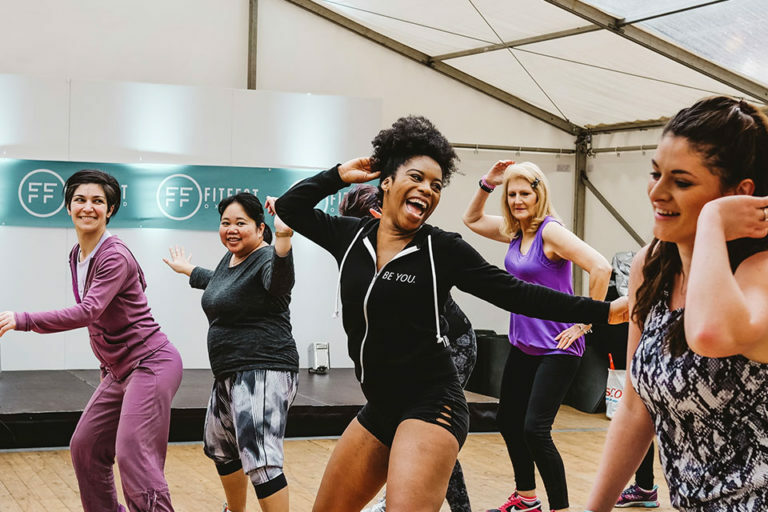 You can meet Bami at FitFest Oxford on 15th June, where she’ll be running a twerking workout session!